Our Mobile Marketing guru Jeff Hasen has just released a new book. And fun fact: The book will constantly be updated in real time once a month so you always have the latest and greatest insights from the industry’s premier expert. So what can you expect from Jeff’s latest literary work of art? Let’s take a look! In this Mobile Marketing Foundations course video, Jeff Hasen explains the importance and value of mobile marketing programs. Mobile Marketing enables brands to create a personal relationship that is often not possible through other digital marketing disciplines. With mobile, marketers must continue to move product off the shelves, but they must do that through mobile devices. Throughout this introductory course, you’ll learn the importance and value of mobile marketing programs. 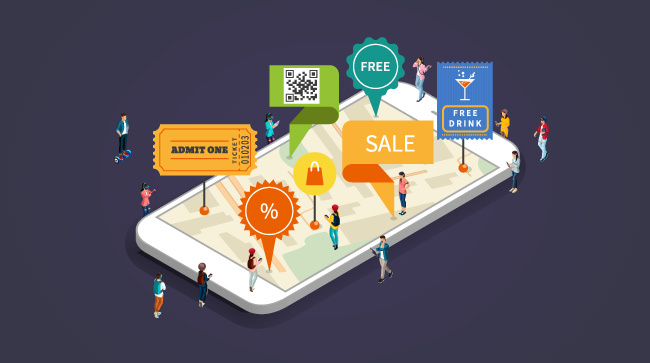 From products and services to location-based targeting all the way to rules and regulations, learn how mobile is creating a personal one-to-one relationship between brands and customers. Are you still unclear about jumping on the mobile advertising bandwagon? Not sure if your site needs a solid mobile strategy? Mobile marketing is no longer a ‘trend’ of the future, it now makes or breaks any brand. Unfortunately, several brands fail to see the importance of mobile in their marketing strategy and fewer still are equipped to handle the change. It is becoming increasingly important for brands to integrate mobile marketing into their traditional digital marketing strategy. 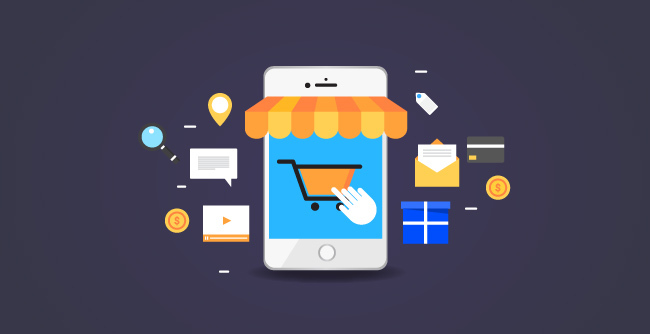 In fact, we could go as far as to believe that your mobile strategy should take precedence over other forms of marketing. For brands who want to develop a mobile marketing strategy, the first step to take is to provide a Mobile Marketing course for their employees. Once employees are trained properly, it becomes easier to implement all the necessary steps. Enroll in our Mobile Marketing course today and learn how to implement a solid mobile-first strategy. Brands missing out on a solid mobile strategy are missing out on a huge chunk of their target audience. The world is going mobile and there is no avoiding it. 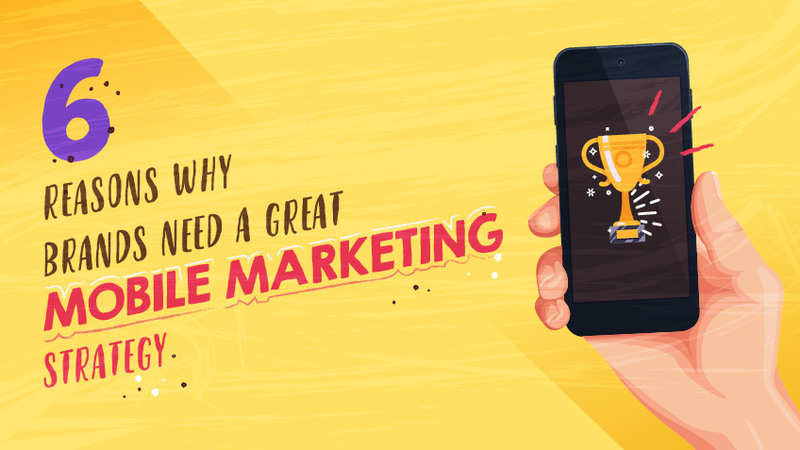 Here are the top 6 reasons you need to be great in mobile marketing. While the desktop is not dead or dying (about 30% of people in the USA and 40% of people in the UK use desktops to surf the net), 2017 is touted to be the year of mobile! According to PwC, 51% of all digital marketing budgets were targeted at mobile users in 2016. This number is only rising. The number of internet users in 2017 has risen by 10% since last year and the number of active social mobile users has risen by 30% in the same year. All these statistics point toward a mobile revolution. On a similar note, Google’s Mobilegeddon update in 2016 revealed its intention; mobile or out. So, how does this update impact your site? 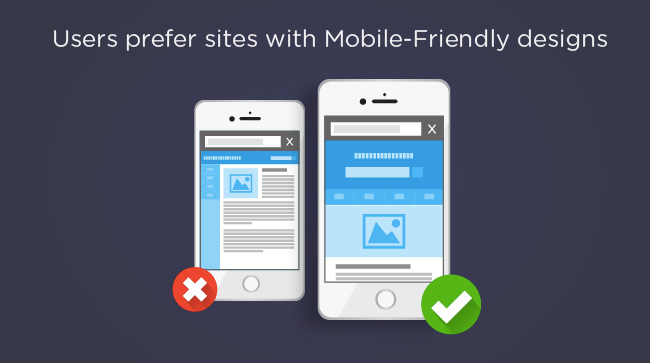 If your site isn’t mobile-friendly, it might just get penalized by Google. 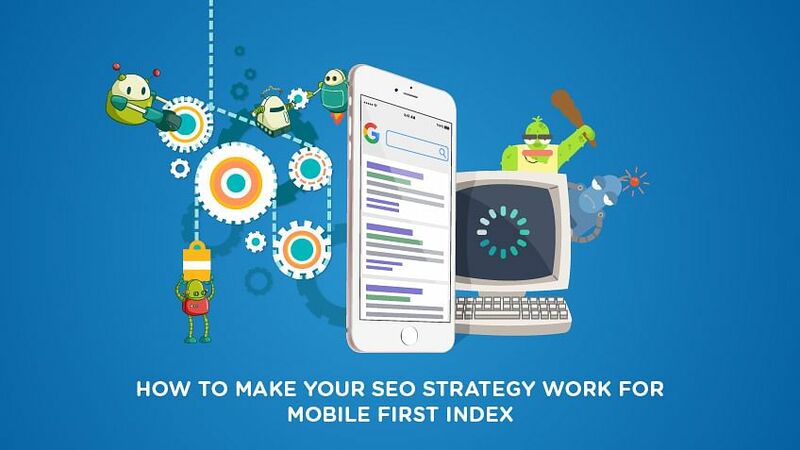 In this update, Google is testing a mobile-first index system (of course nothing is spelled out yet), where they will crawl the web using a site’s mobile content as the primary factor for ranking. This is Google’s way of starting the mobile race. Google is shifting perspective. With this update, they indicate to the industry that mobile content will be given precedence over desktop content. While sites that do not have a mobile presence will not be hit by this update, it pays to mention that these sites will not have the benefit of a ranking boost that is available to a mobile-friendly site. While most industry experts are still unclear about whether this has started, some experts have been able to get a (read-between-the-lines) response. For anyone with an online presence, this is an extremely important update to take notice of. Have you bought anything using your mobile phone recently? A hefty 82% of people today use smartphones to research a product or service before they buy. If you don’t have a mobile presence, this could translate to mean a huge loss for your company. Moreover, Facebook has over 2 billion active users and Instagram has over 700 million. Guess where these sites are most accessed? You’ve guessed right, over 80% of all social media usage is done on mobile. If your brand does not have a solid mobile presence, your company will lose out on more than just a couple of leads. Mobile loyalty clubs are also doing great in attracting and retaining customers. 33% of mobile users want to join a mobile loyalty club, but only 12% of users currently participate in one. 12 million Starbucks drinkers, for example, use and love the Starbucks app which includes a rewards/loyalty program. Within a year of the launch, Starbucks reported 26 million mobile transactions via the app, and now 15% of all Starbucks transactions are processed via mobile. Without a successful mobile loyalty club, you’re leaving your customers (and your sales!) out in the cold. Your consumers aren’t going to suffer a painful mobile experience if your competitor is a Google-search away. For those of you who have already enhanced your mobile experience, buckle up – you have a lot of sales coming your way! What does a mobile-friendly site experience mean anyways? It means that your site can be viewed and scrolled seamlessly by mobile users. This includes large buttons and a responsive page design. For Example – Etsy’s mobile site gives its users a gliding shopping experience. Etsy’s sales supposedly took off after the launch of its mobile site (which is also integrated with sophisticated machine learning algorithms). Nearly 75% of smartphone owners use their device as part of their overall shopping experience. According to McKinsey and Co., 61% of people who have had a shoddy experience with a site are more likely to not return to it. In fact, 40% of these people will visit a competitor’s site. It doesn’t take much to check if your website is mobile-friendly; Google’s Mobile-Friendly Test can help you with this. Did you like a brand page on Facebook? Your twitter account will soon hit you with advertisements for the same brand. Most people on Facebook are shown recommendations of their previously browsed products on Amazon. In fact, any social media platform you visit will now have an ad to a site you previously interacted with. 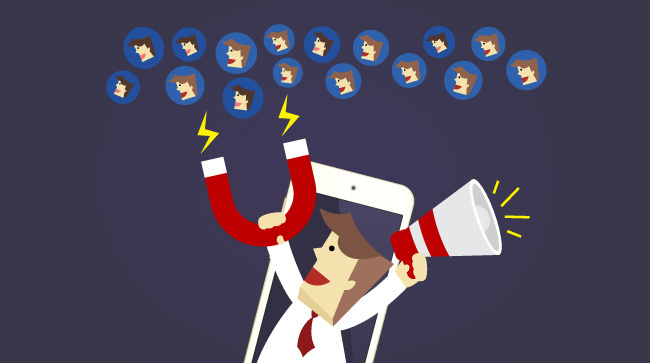 Brand amplification becomes easy with a solid mobile marketing strategy. With mobile marketing, companies are now able to spread the word about their brands through multiple social media platforms. For marketers, this means exciting possibilities. It’s not just about displaying the right products to the right people, it is also about NOT displaying the wrong products to the wrong people and therefore annoying them. 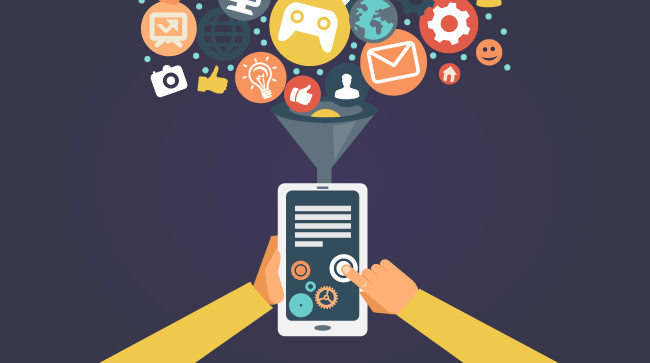 While mobile marketing has made targeting audience possible on a more granular level, most companies aren’t making full use of it. We don’t blame them, no one is still sure of how going mobile can help them. As we have already mentioned, Google is increasingly shifting its focus onto mobile. One of the biggest reasons for this is because of the ‘local’ factor. What Google wants to do, is to enhance users’ experience by making the information they receive more relevant to them. How do you make already specific information more relevant to your user? You make it specific to where they live of course! While this could mean a little more work for the marketer, it also means a big pot of untapped SEO and social opportunity for them. Take FourSquare, for example, a location-based social network. Users on this site have started checking into locations they’ve been to. Businesses on FourSquare have started making full use of this platform to bring more and more people to the site. With this social media platform, businesses are now reaching out to customers who have already been there once and giving them discounts, so they return. This is a micro-influencer program in itself, with each person who checks-in, they have automatically recommended the same to others. Influencer marketing has taken the world by storm. Over 70% of teenage YouTube viewers trust influencer opinions over traditional celebrities, while over 50% of beauty companies use influencer in their marketing strategies. Influencers love social media. Influencers like Giuliana Rancic and Kristyn Cole have helped promote brands like SmarTrike and Pedigree respectively. It is no surprise, given that more and more people rely on social media to make purchases. Take the RESCUE campaign for example – with the help of a couple of blogging influencers promoting its coupons, this company was able to garner over 133 million social media impressions and over 6,000 clicks to the coupons. Success becomes more common for influencer campaigns like this one, given the popularity of social media. Platforms like Youtube, Instagram, Pinterest, and Facebook have become vital to influencer marketing. These social media platforms are most used by mobile users. Your consumers interact with social media, and they do it on the go. You need to be where they are (Twitter & Facebook), and you need to know how to interact with them in a mobile-positive manner. Mobile assistants are in; if you don’t know this, you are late to the party. But what does this mean for marketers? According to experts, over 50% of all searches will be conducted over voice searches. (This makes sense, all of us call out to Google or Siri when we drive or cook or shower or walk). Given that over 40% of adults use voice searches today, doesn’t it make sense to not ignore this in your marketing strategy? Integrating your regular marketing strategy with your mobile strategy is quite easy. Start with content, it’s the fastest fix. This means use simpler, more commonly used words when writing and use words like “how and what” when forming headlines. If you think your employees aren’t ready for mobile marketing, chances are, you’ll have to play catch up eventually and it might just be too late by then. Take our Mobile Marketing course today and prepare for the trend of tomorrow! Interested in Mobile Marketing Training? – Click Here! Ready to jump on the mobile bandwagon? Great! Mobile is both highly efficient and highly personal. Poorly conducted mobile campaigns can cause customer frustration, a sense of invasion, or (eee!) lawsuits.Whether you’re already in the mobile sphere or you’re just realizing you should be, it’s important to do mobile and it’s important to do it well. Don’t jump in blindly. Make sure you learn the nitty-gritty of options, rules, best practices, and how to integrate it with the rest of your social & web experience. Does a Mobile “Opt-In” Opt Into Everything? From the Market Motive Forums: Does a mobile “opt in” opt the user into everything? Mobile campaign rules are extremely important, not only to protect your company legally but also because people may feel violated or upset if they think you’ve crossed a boundary by contacting them when they aren’t expecting it. Just seven days ago, we invited our Master Graduates to participate in a speedy competition on our Master Certified LinkedIn group and fill us in on where they are now. We’re proud of how our students have used their training to further their careers and their companies, and we are excited to recognize Top 10 Master Graduate “Where Am I Now” submissions in the Market Motive Spotlight. Let’s start with our winner: Maurice Revah! The Power of Professional Training – Find what you’re looking for! Phil Leacock found exactly what he was looking for. He was looking for training to help impact his social media strategy. And he wanted to get that training from people who had real-world business experience. Phil spent months looking for the best training provider; ultimately, he found everything he needed at Market Motive. The training he got made a huge difference to his mastery of social marketing strategy, and to his personal ability to lead the change.